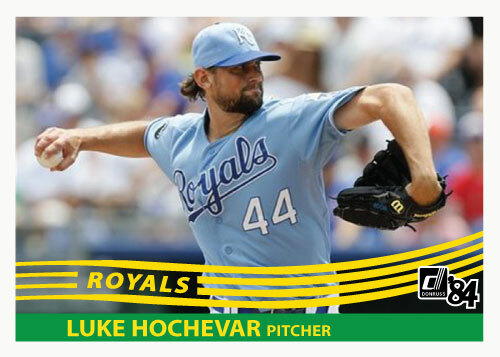 Royals likely opening day starting pitcher Luke Hochevar. 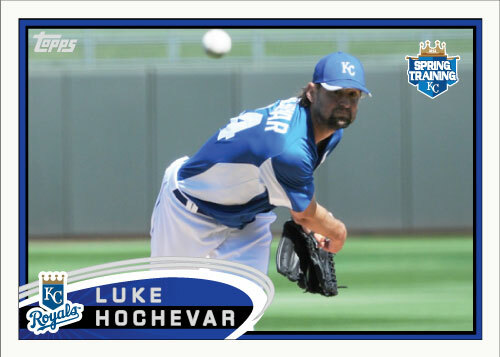 I’m going to Kauffman Stadium today to see Luke Hochevar take on the Detroit Tigers. 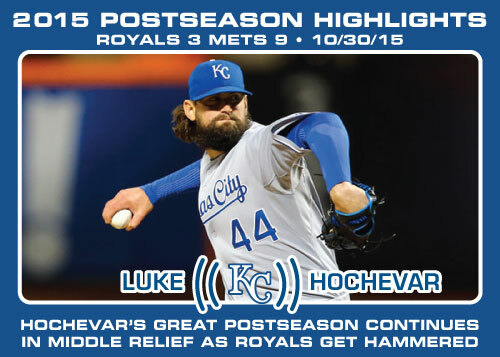 I’m hoping I see the best of Hochevar. 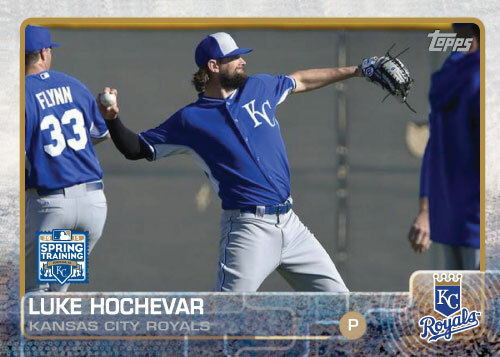 It is still frustrating as a Royals fan that Hochevar is so inconsistent. He show flashes of being a number 2-3 in the rotation guy but other times looks like a borderline major league ballplayer. The most frustrating for me personally is when he pitches about 5 2/3 innings and hits a wall and can’t get an out. That is the time when really knowing how to pitch pays off; when your stuff starts to fail you. 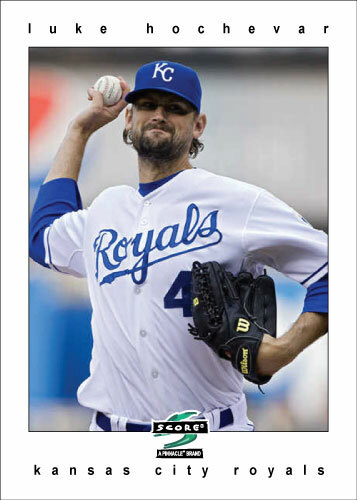 Notes on the card: I am making this 1984 Donruss Royals set and I believe I have now posted 3 cards from it. My concept is to do an entirely powder blue picture set. I think this is the first one I have posted that is a sideways card. I think this design works really well in the landscape format. The original set didn’t have any landscape cards but I wanted to add them to my set. I think they look extremely good.